Busy Bees at Derby Oakwood Bishops Drive - Zoo lab is coming to visit us here at nursery. 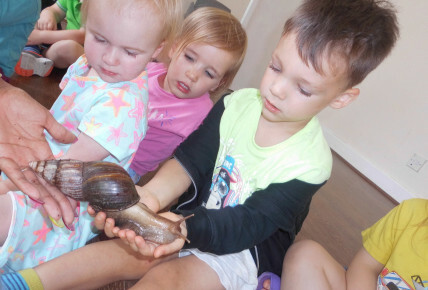 Zoo lab is coming to visit us here at nursery. 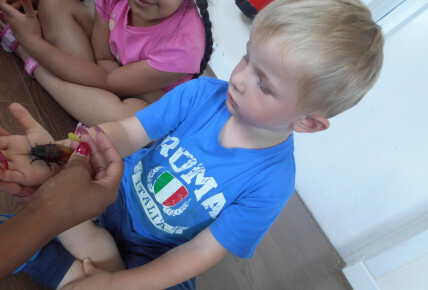 The Happy Hippos children along with the Pre School children have an exciting event planned, they have the amazing Zoo lab coming to nursery with a range on mini beasts. 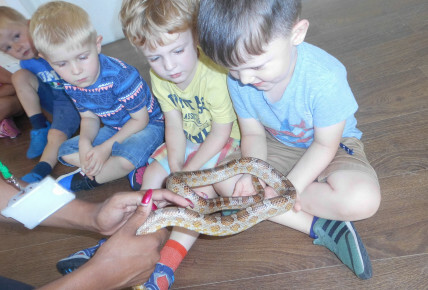 The children are delighted to have the chance to hold the animals. Please call the nursery if you would like to come along and take part in this wonderful event.